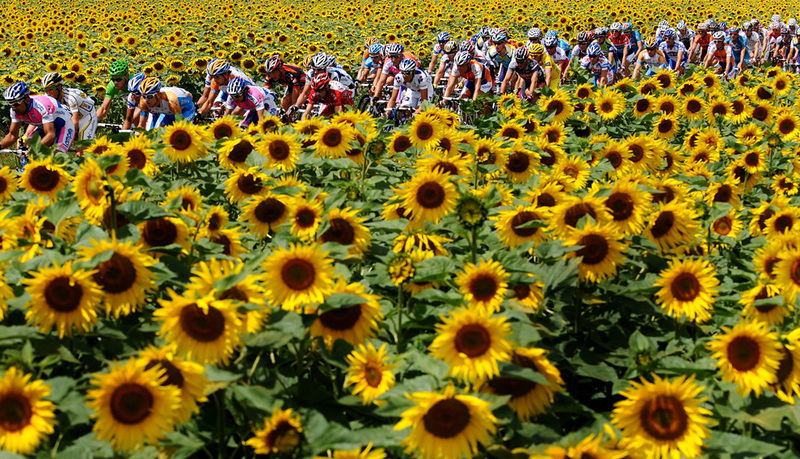 Green News Update is on the road to Provence –the land of lavender, honey and sunflowers. Sunflowers actually move east to west every day following the sun. We’ll be checking out the glories of Provence, the Ardeche and Mediterranean places like the Camargue, with its wild white horses, and the old port of Marseilles. The Provencal tablecloth in indigo blue features olive leaves and the famed cigales (cicadas). 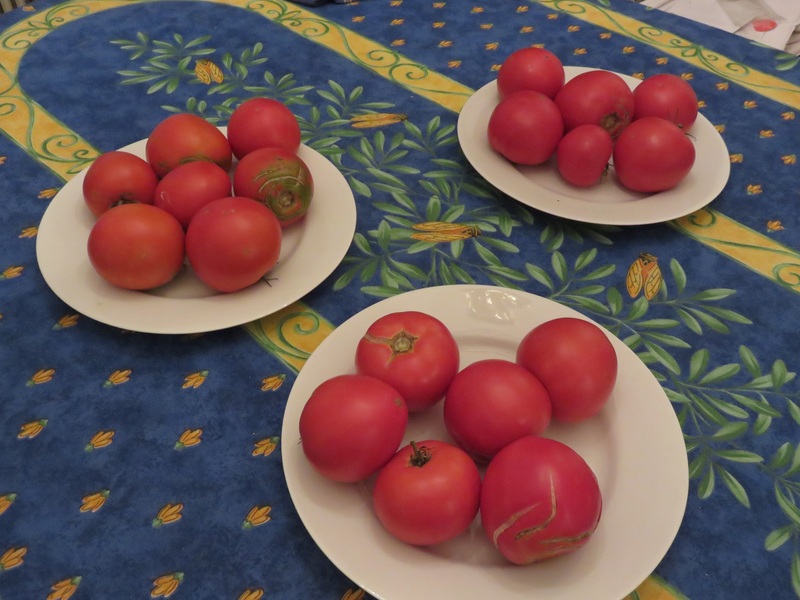 The homegrown tomatoes are ours. 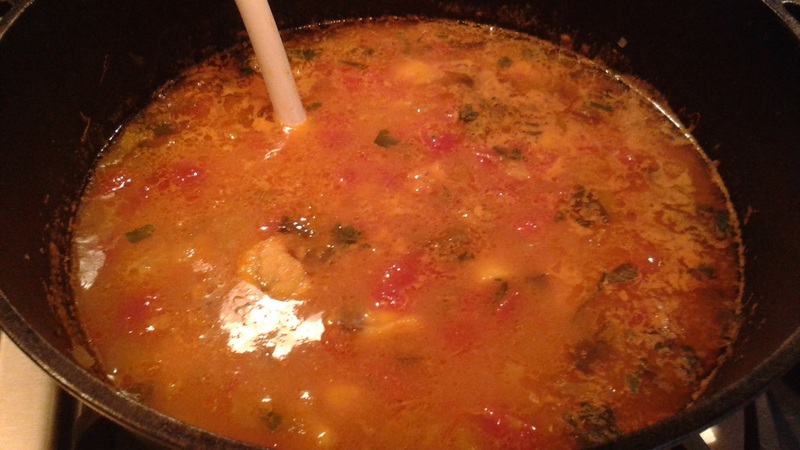 Homemade bouillabaisse with saffron, garlic and plenty of fish! We’ll be tasting the way the original is made in Marseilles. 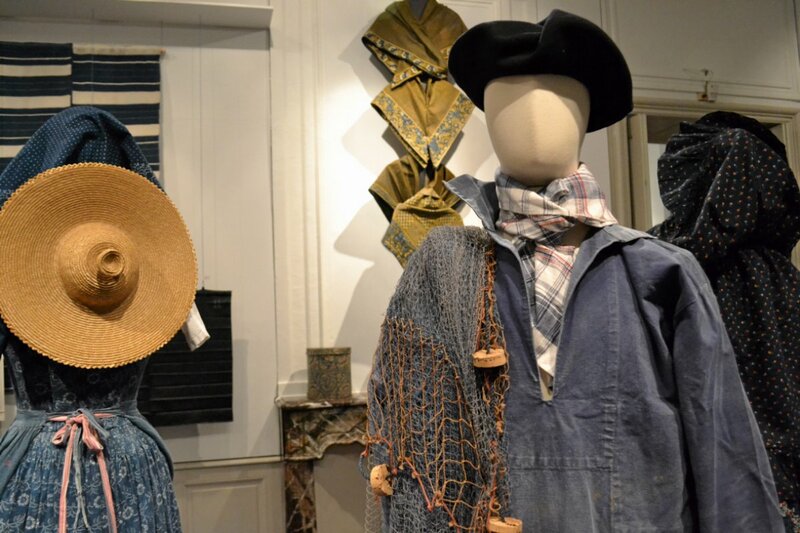 Jacket, work hat, neckerchief of Guerande fisherman. The name denim comes from “de Nimes,” invented in France. Photo by Stefane Cerri. 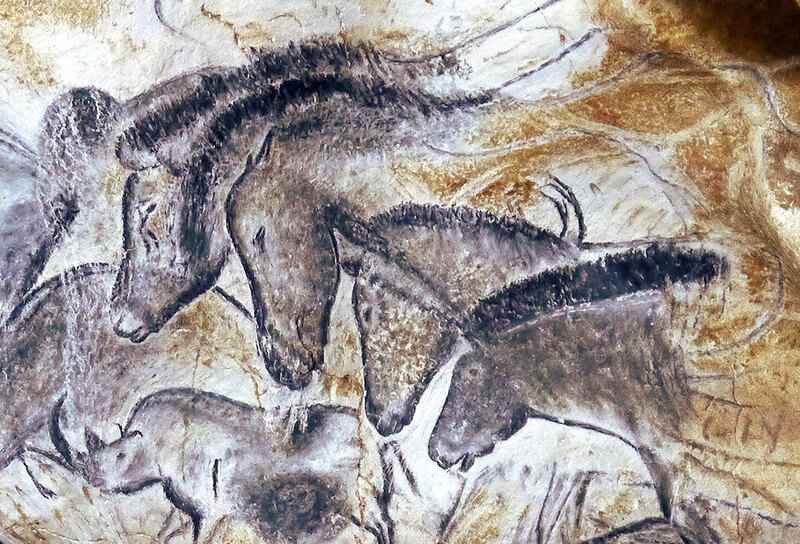 35,000 year-old cave paintings in the Chauvet Cave have been reproduced in a $55-million replica structure called the Caverne Pont d’Arc in the Ardeche. It’s an immersion into the past. 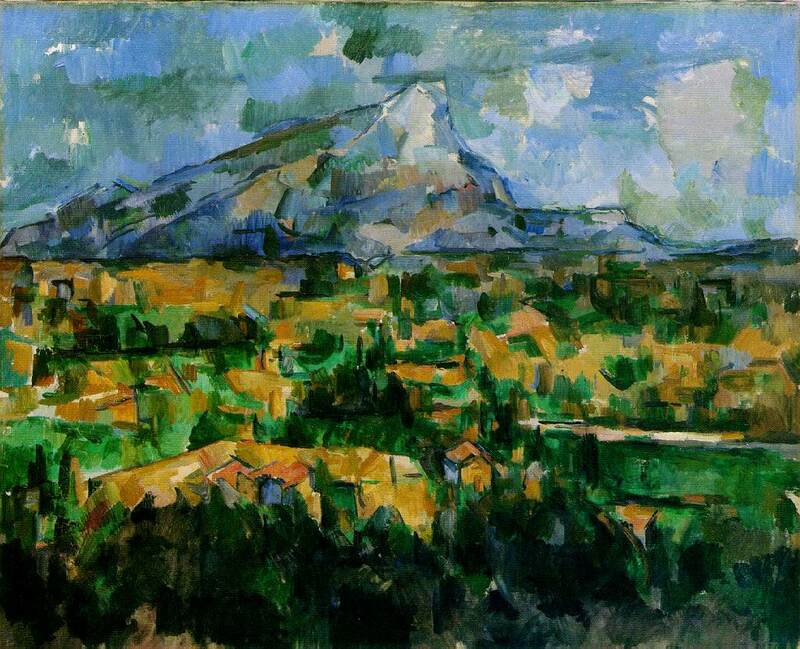 Cezanne’s Mont St Victoire 1902 was painted just outside Aix-en-Provence. His atelier is still there. We’ll be visiting it. 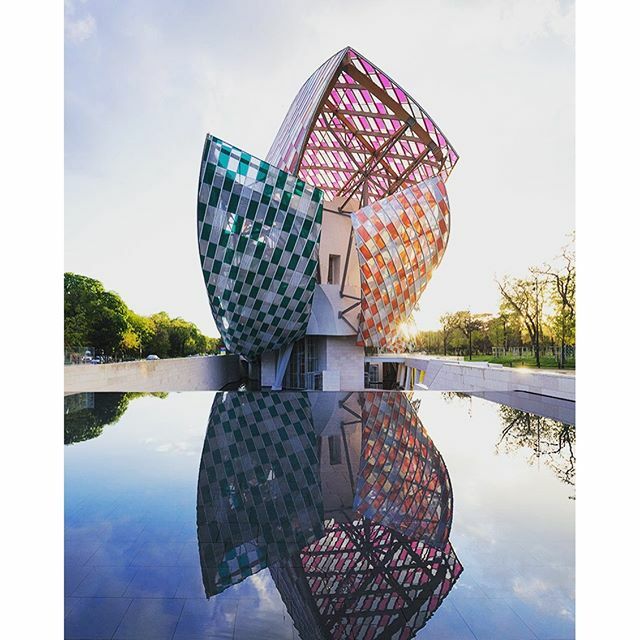 Current Daniel Buren installation at the Fondation Louis Vuitton in Paris, designed by architect Frank Gehry. Can’t leave France without a stop in Paris. Courtesy officiel art. Can’t show you what we haven’t seen yet. Come back this fall for Roman ruins, ancient arenas, a lavender distillery, beautiful Provencal villages, and more!